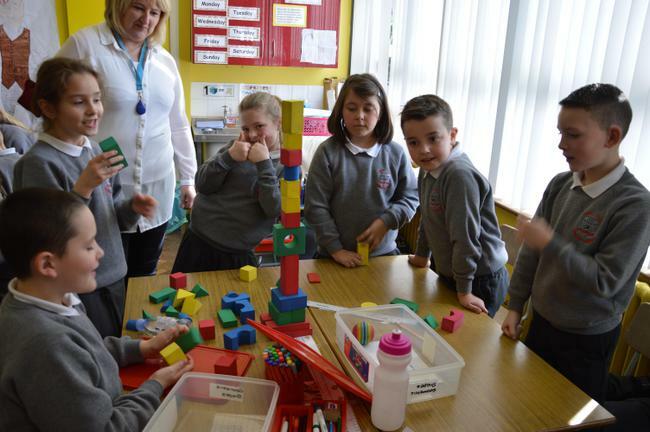 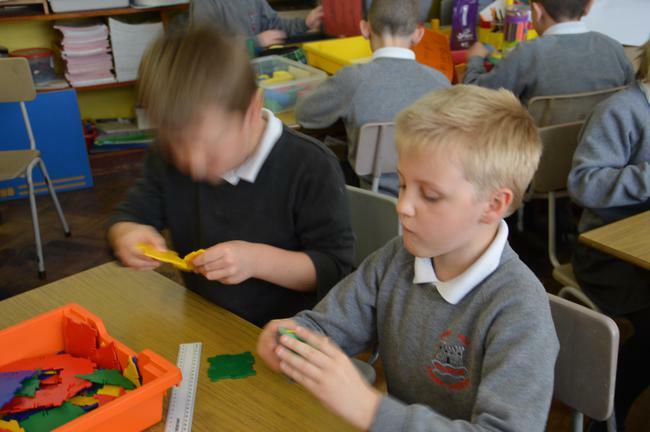 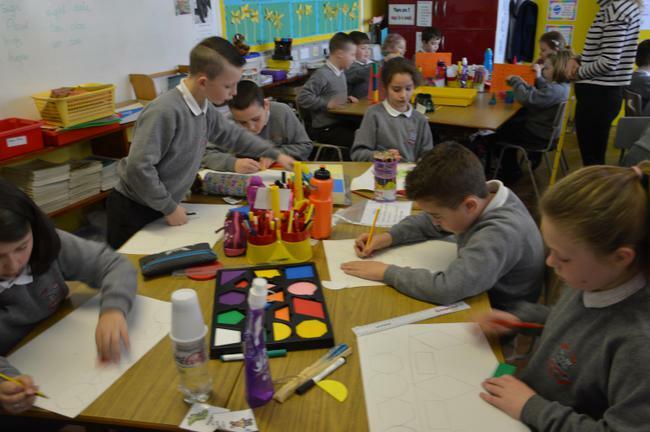 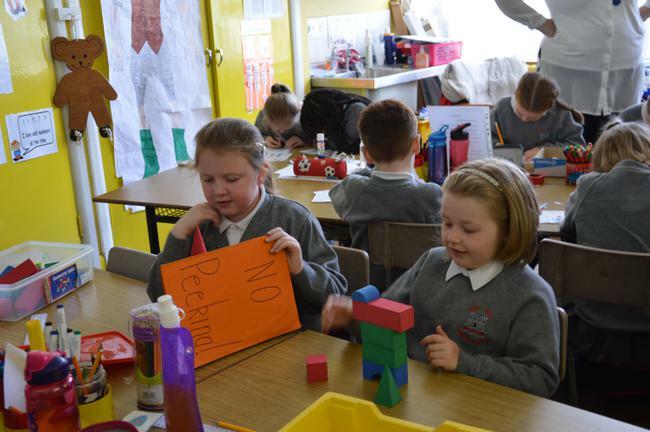 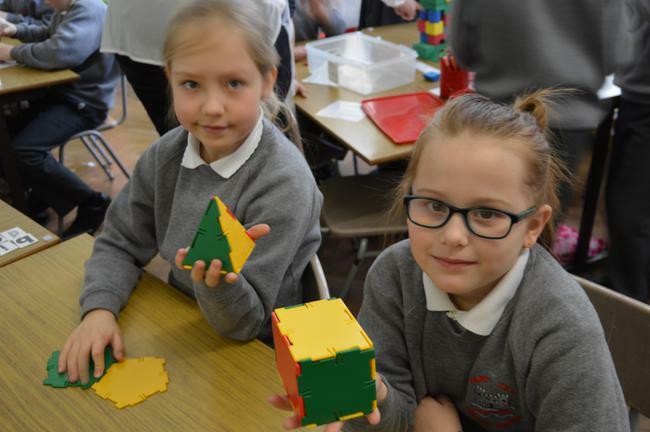 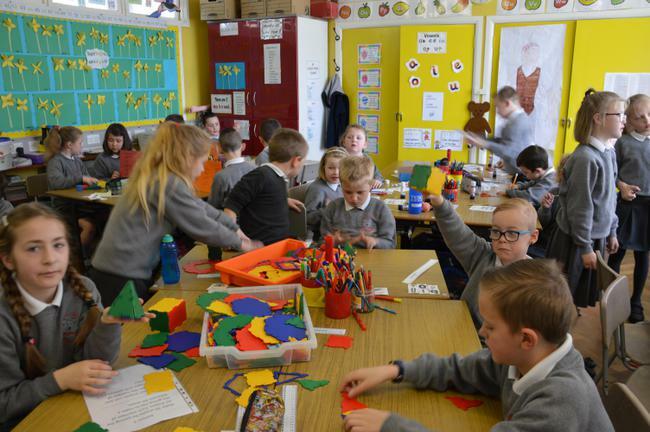 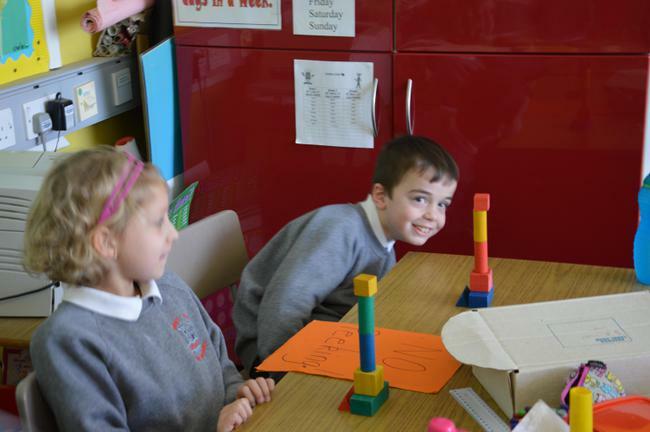 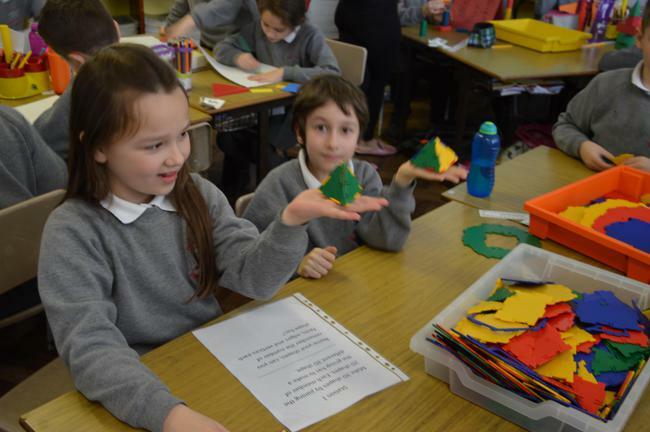 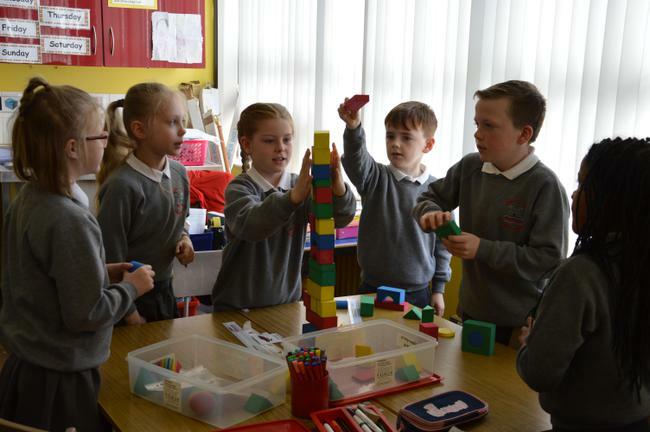 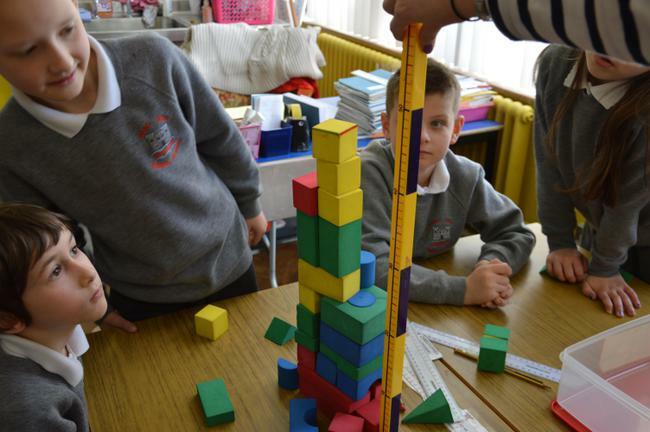 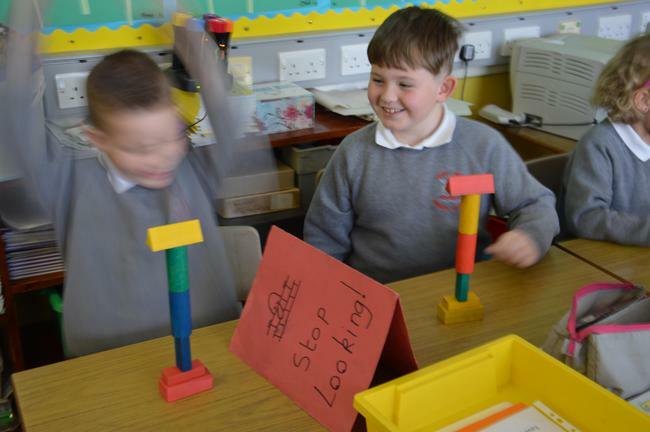 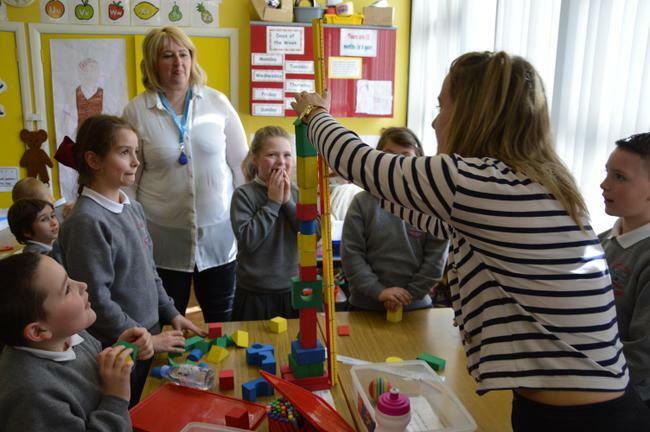 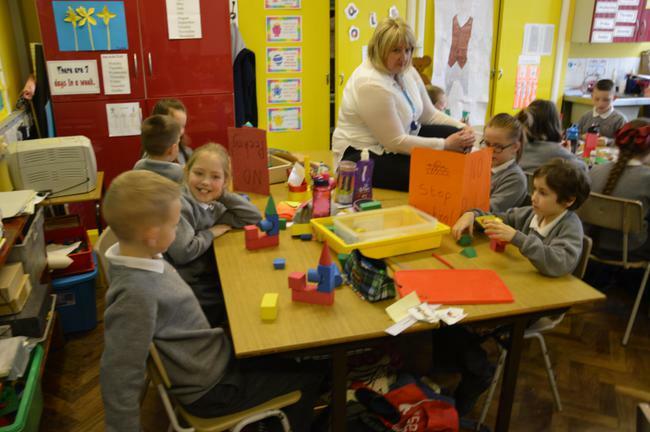 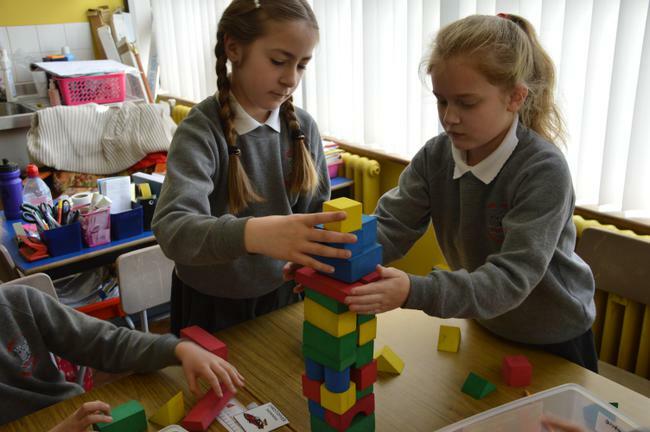 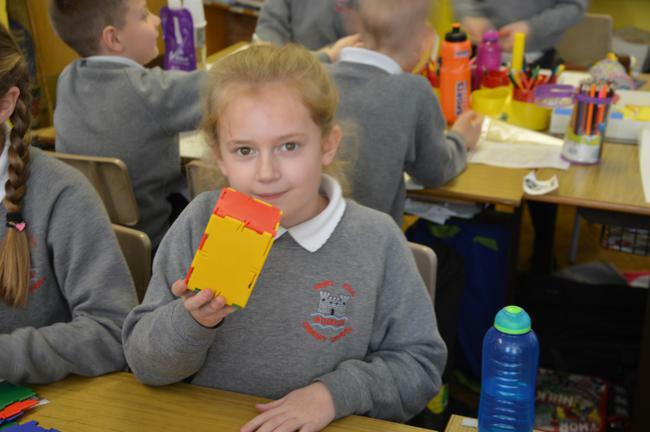 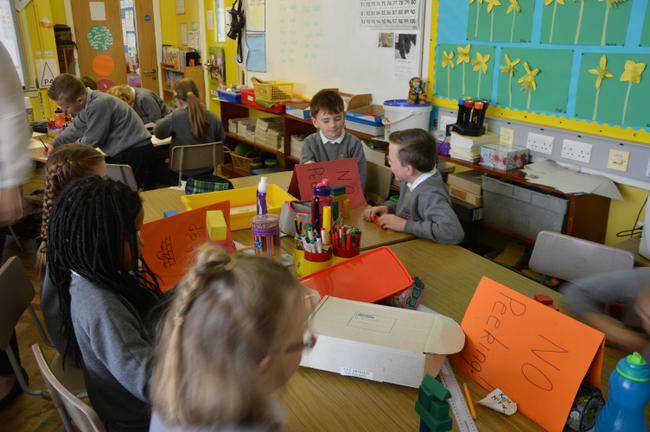 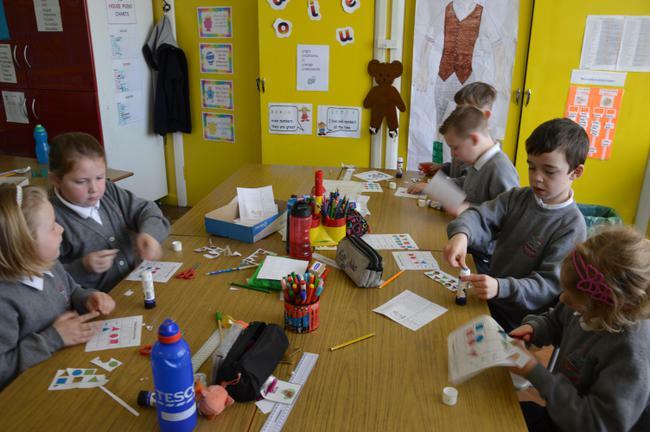 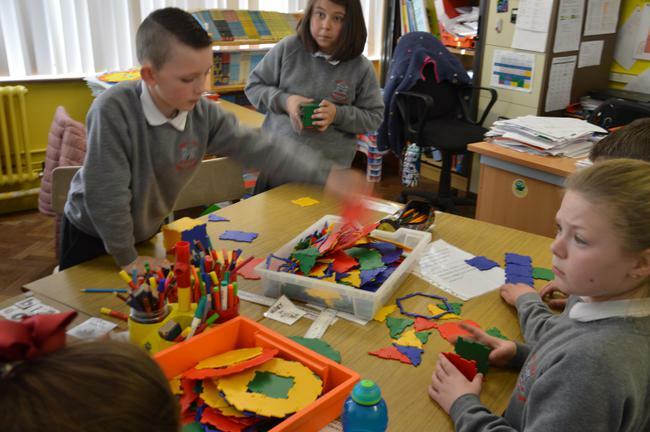 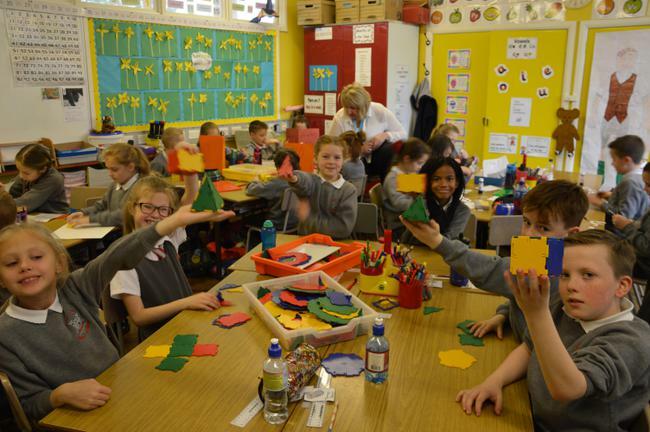 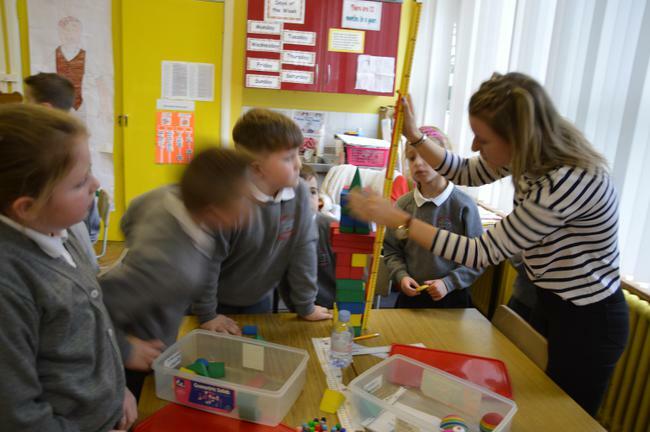 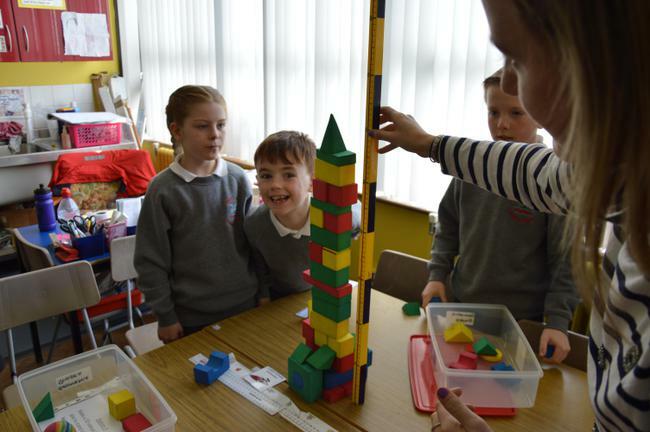 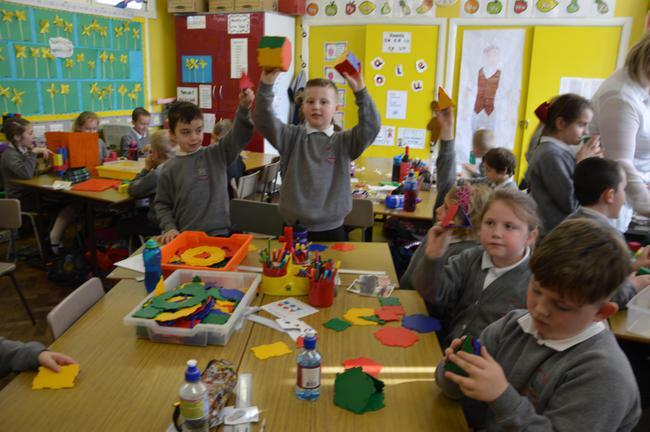 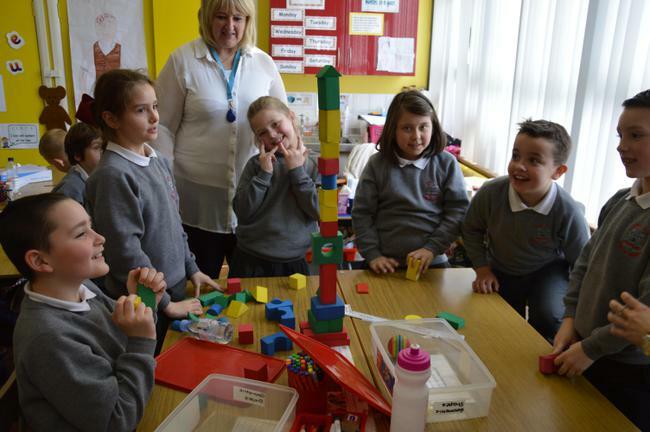 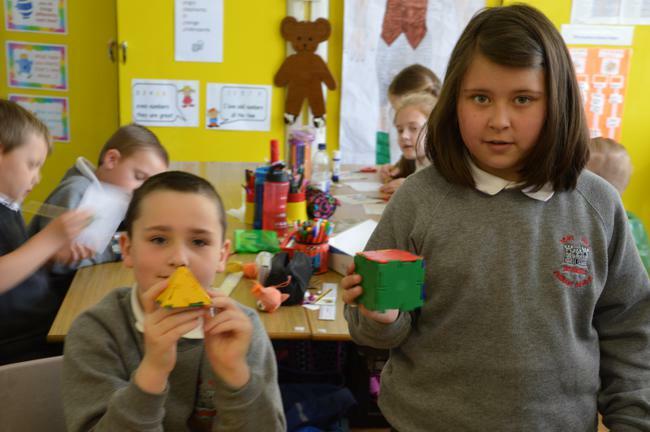 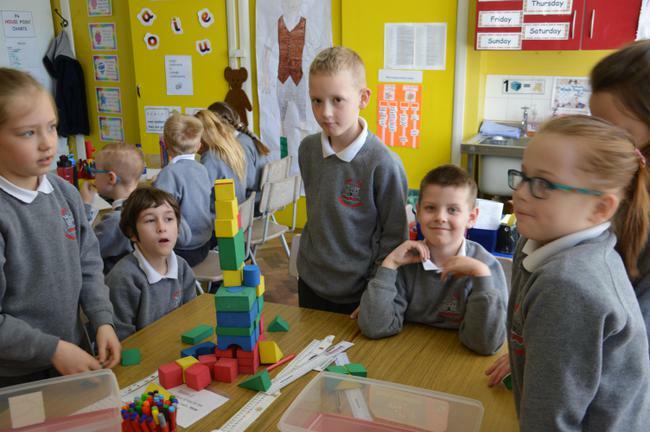 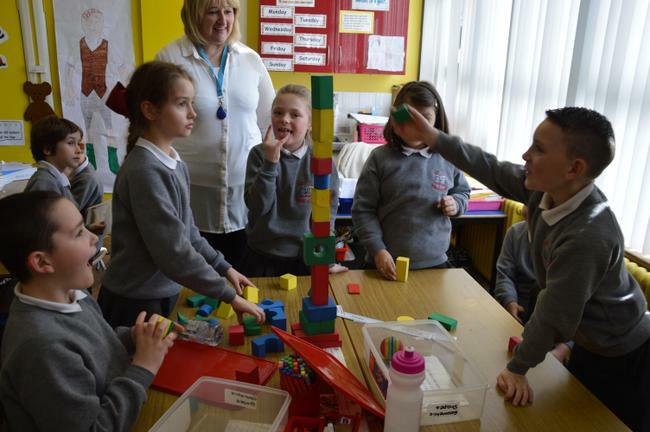 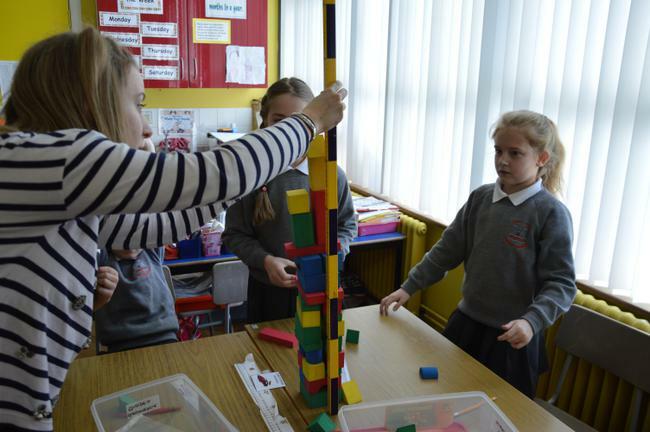 Primary 4 have been learning about 2D and 3D shapes. 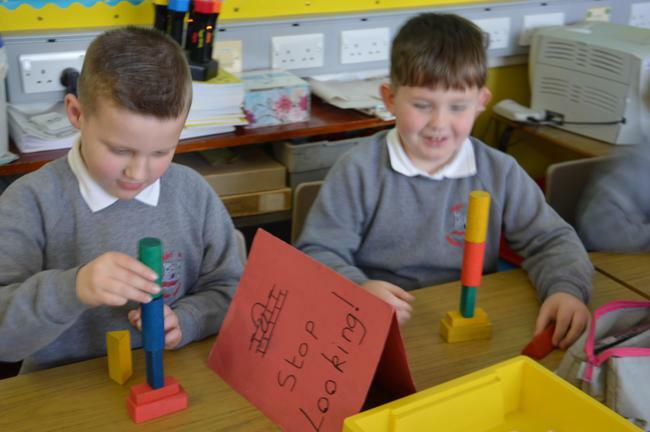 Here are some pictures showing us completing some challenges. 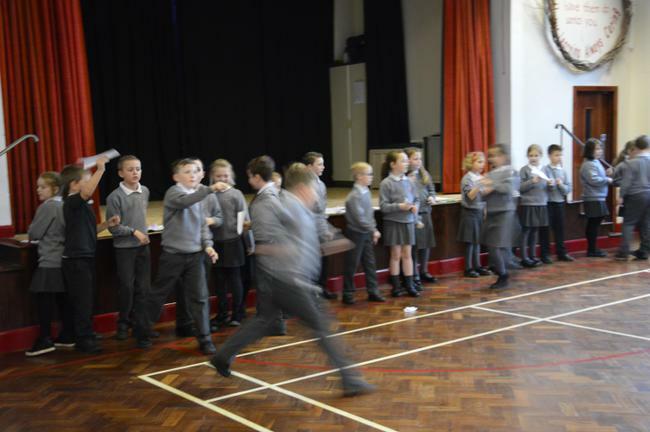 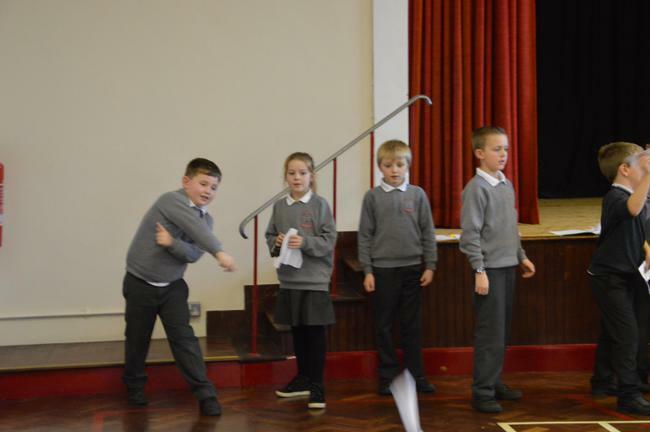 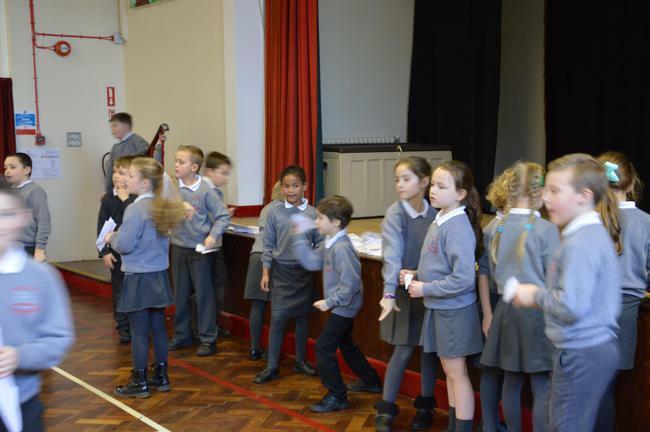 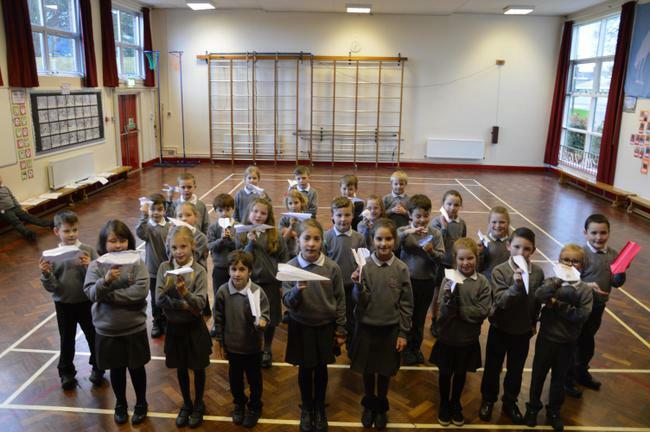 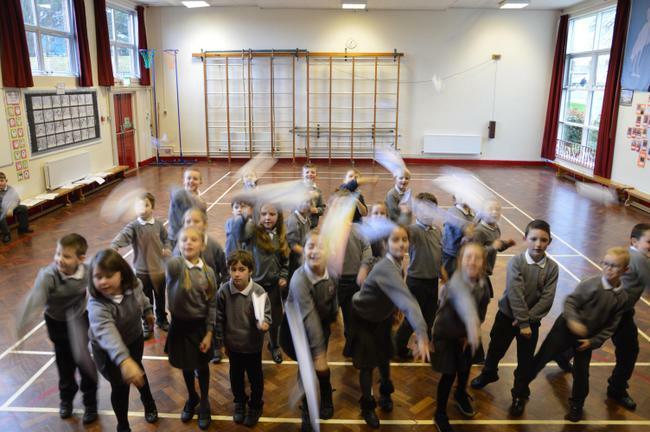 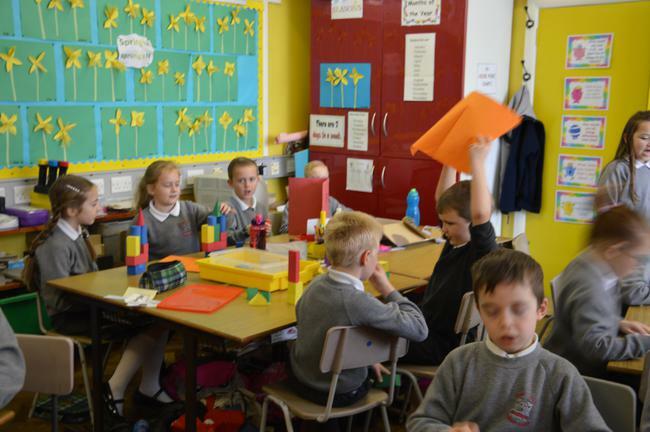 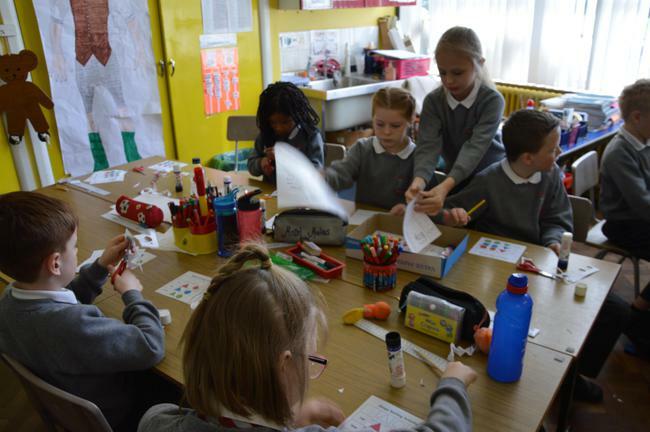 Primary 4 have been learning all about how to design, make and fly paper planes. 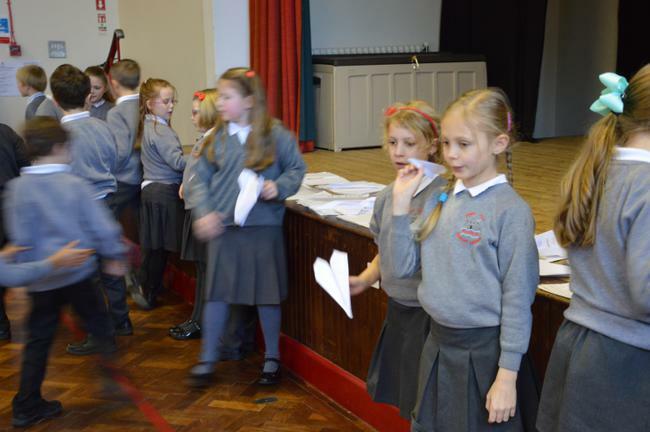 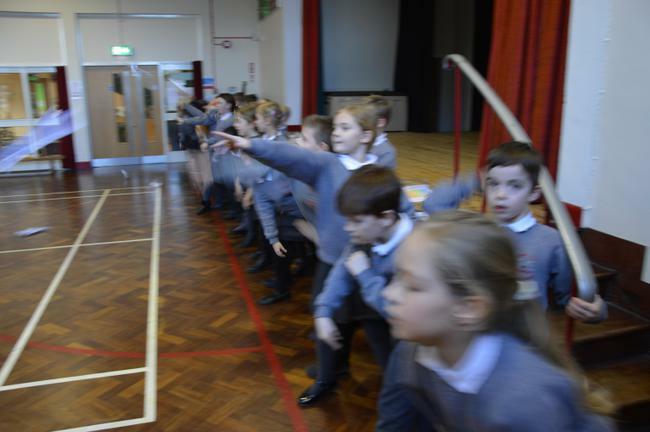 We carried out lots of Science investigations to see which planes flew the best. 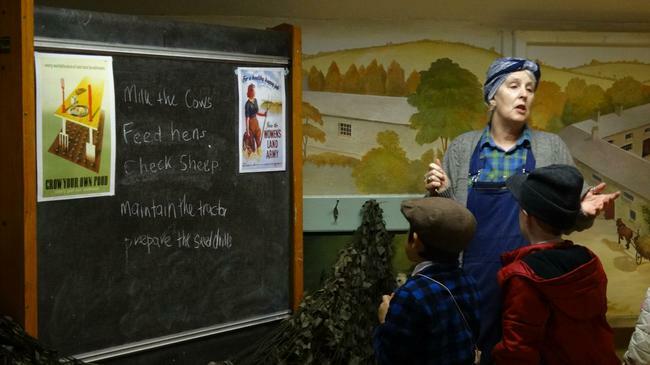 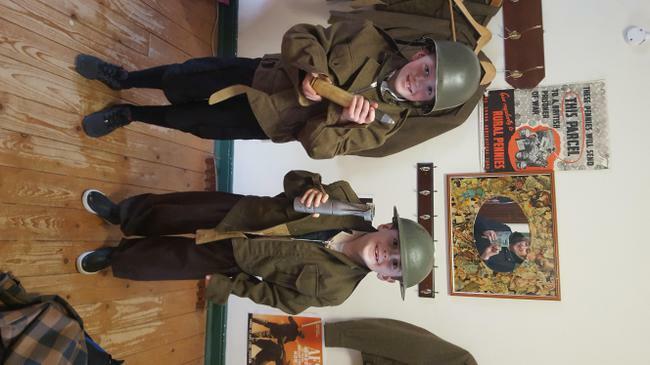 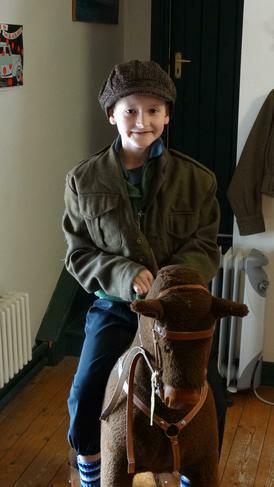 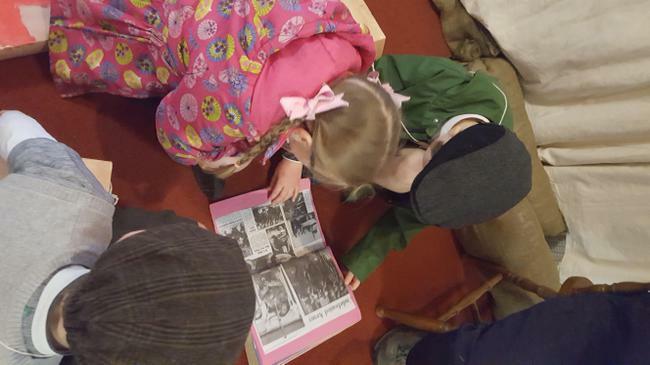 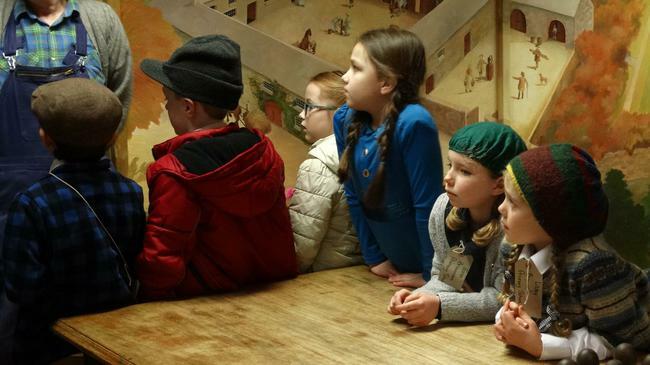 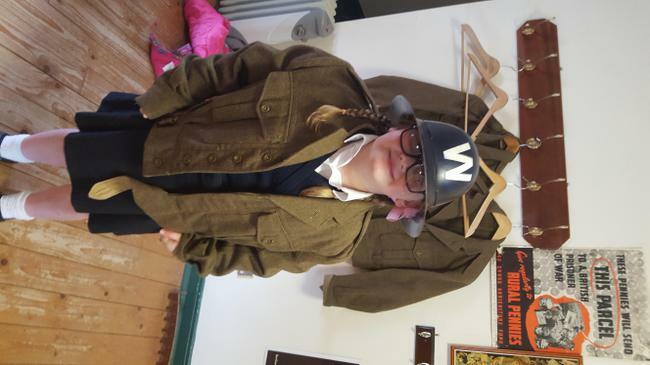 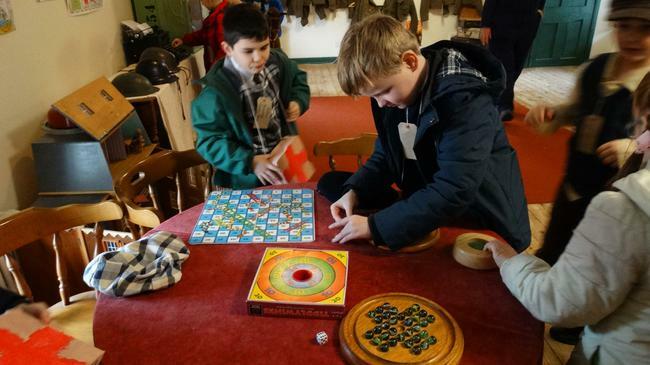 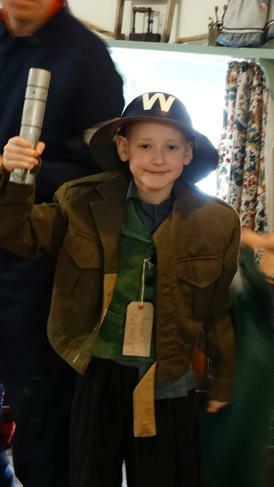 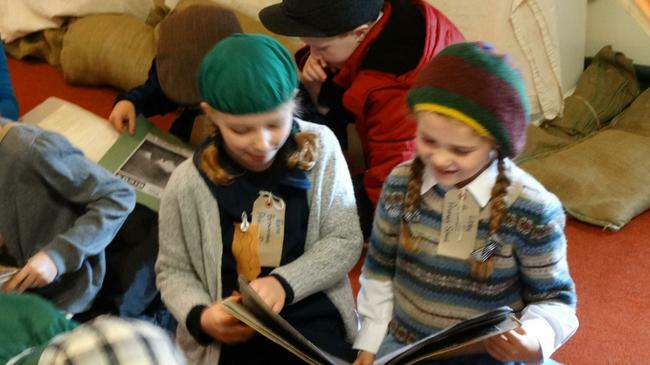 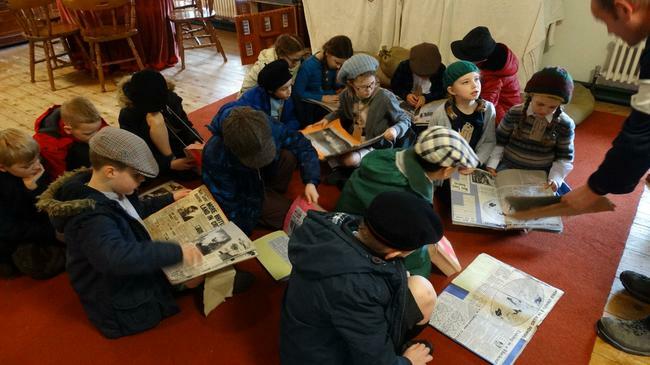 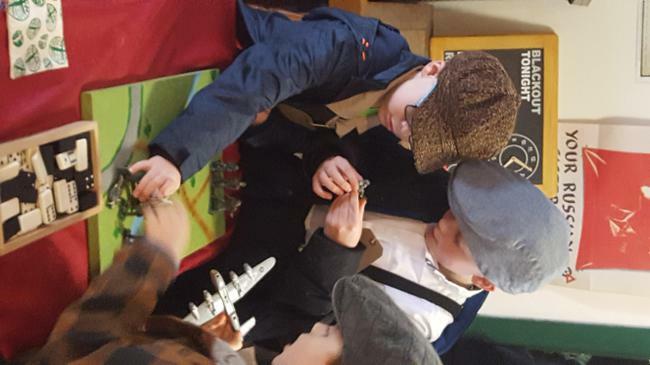 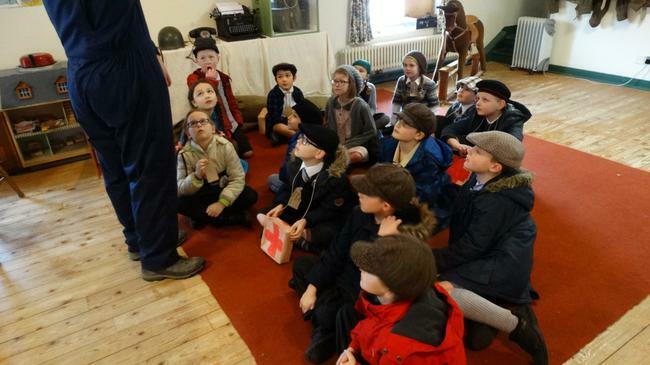 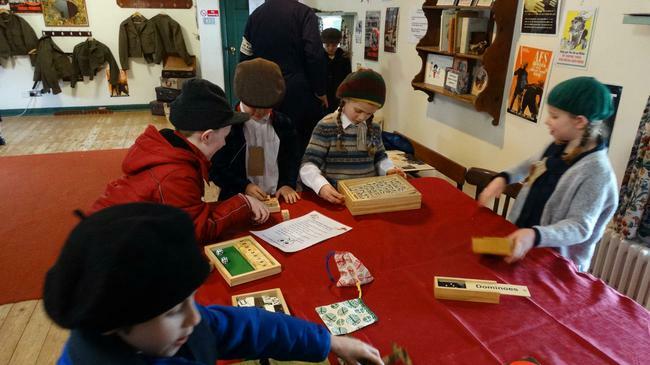 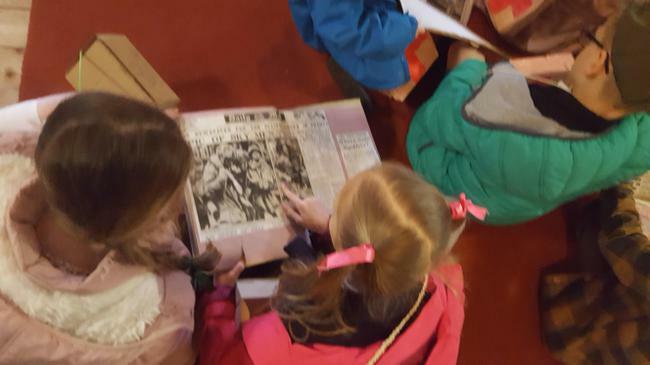 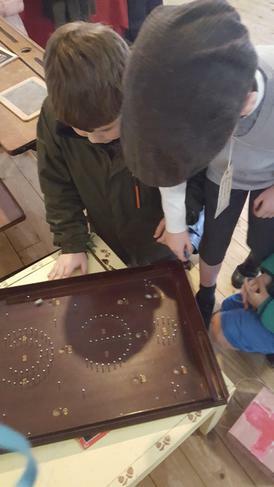 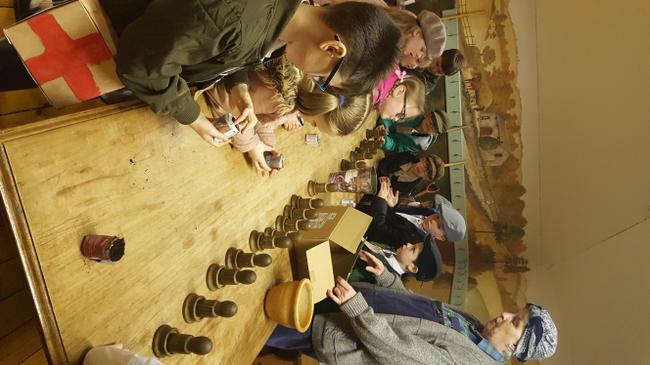 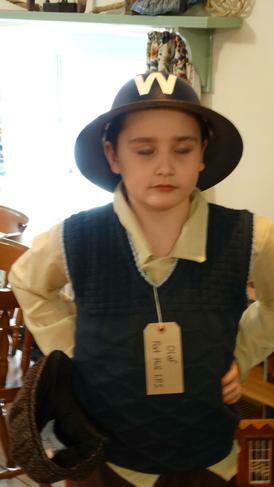 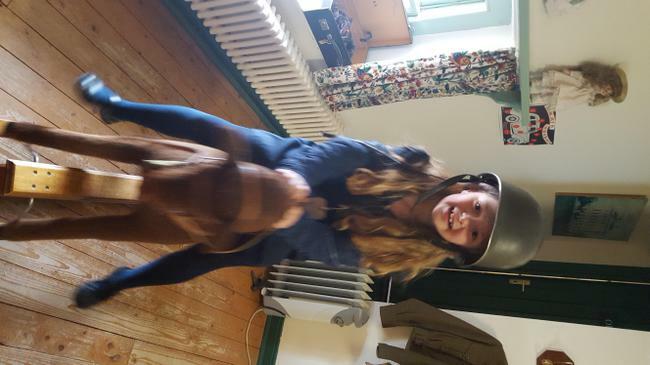 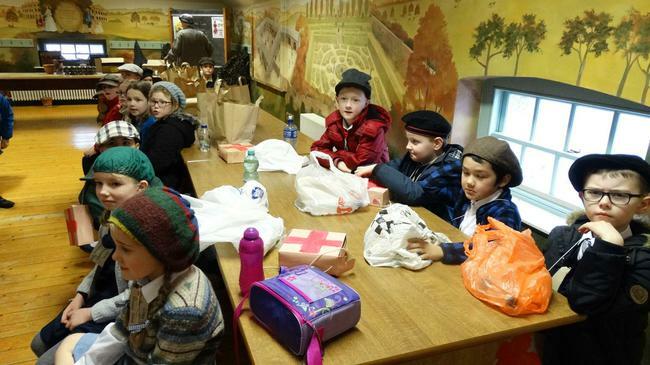 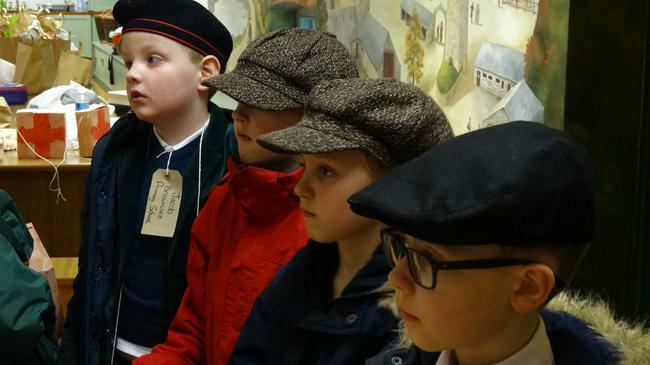 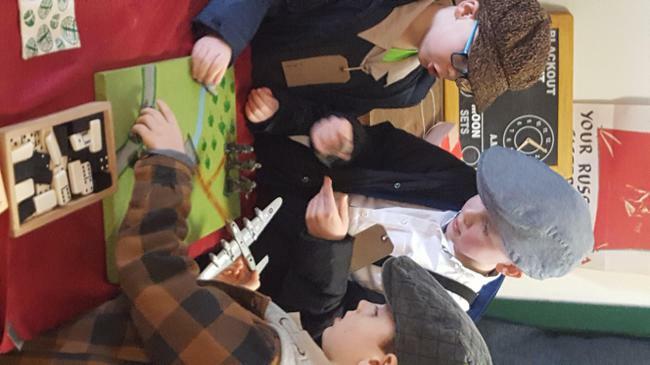 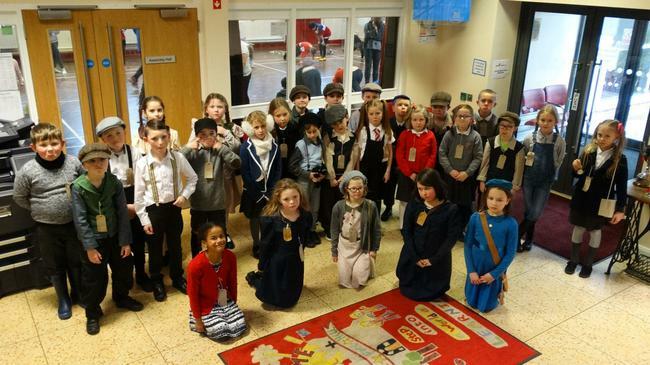 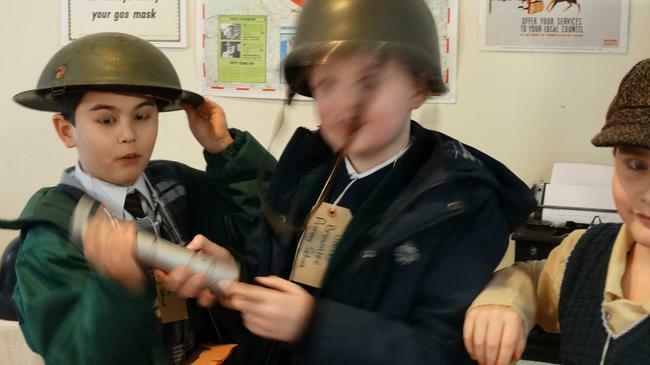 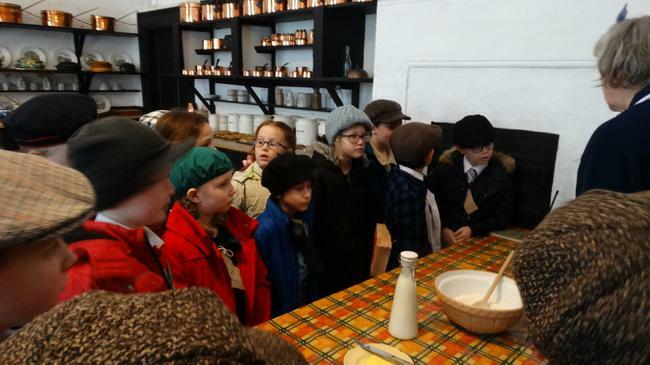 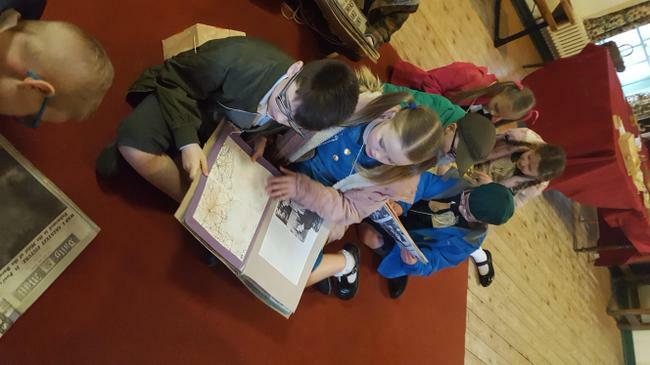 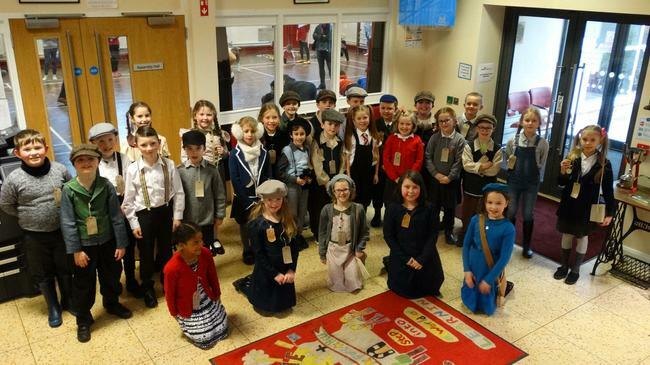 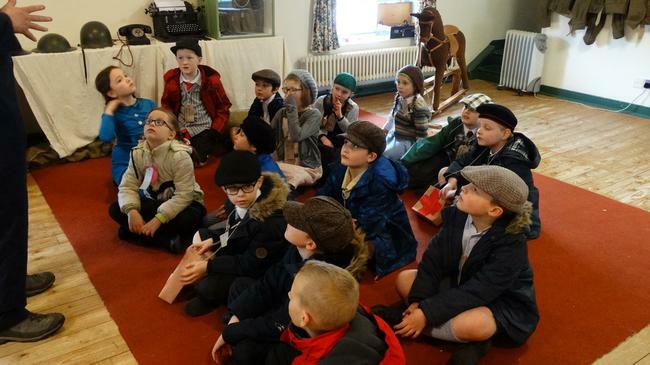 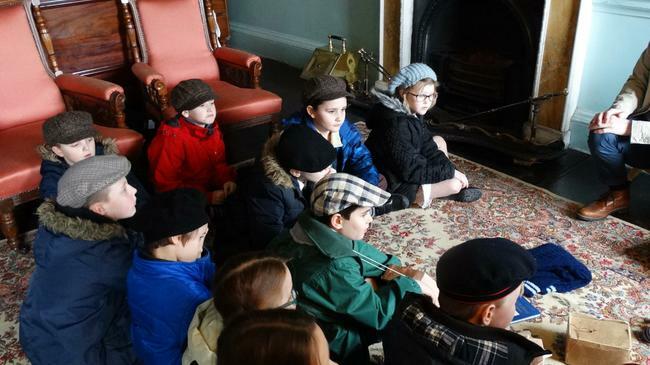 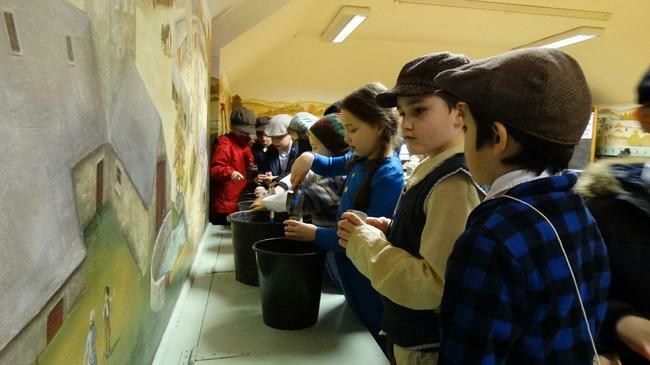 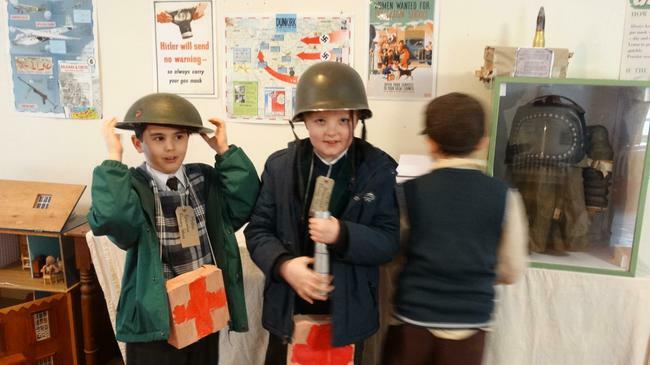 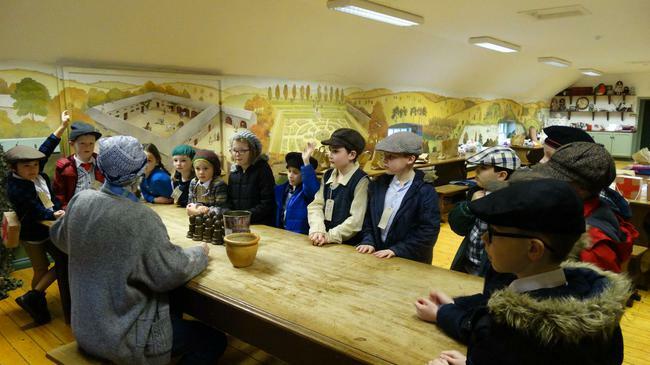 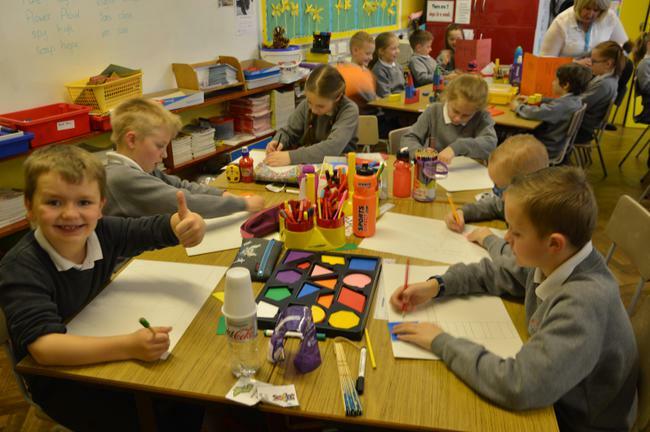 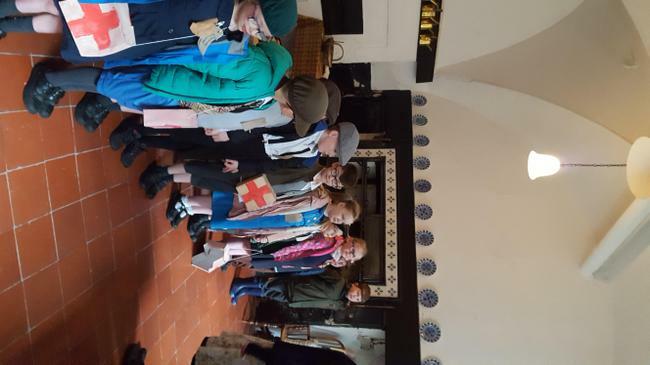 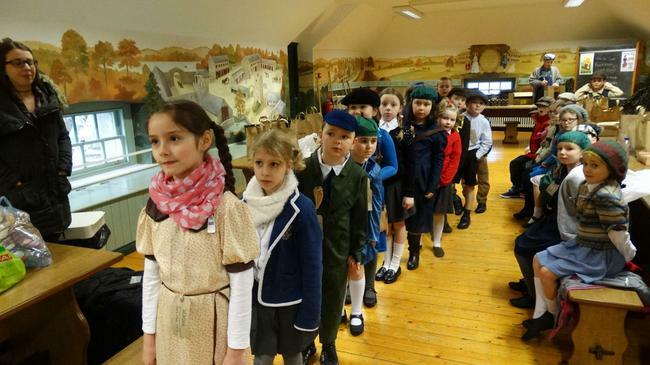 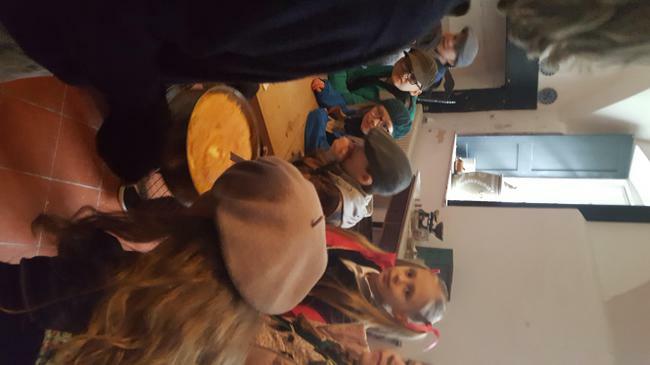 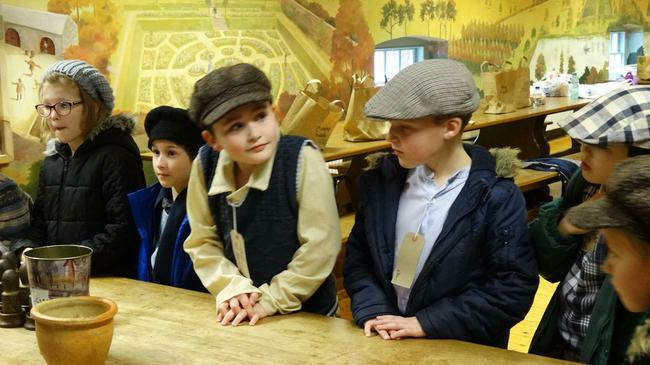 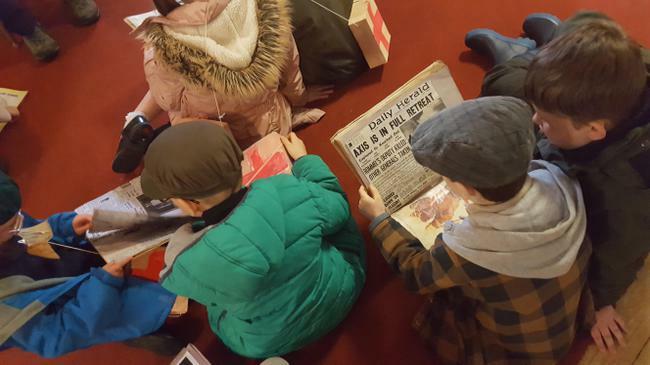 Primary 4 have been studying World War 2. 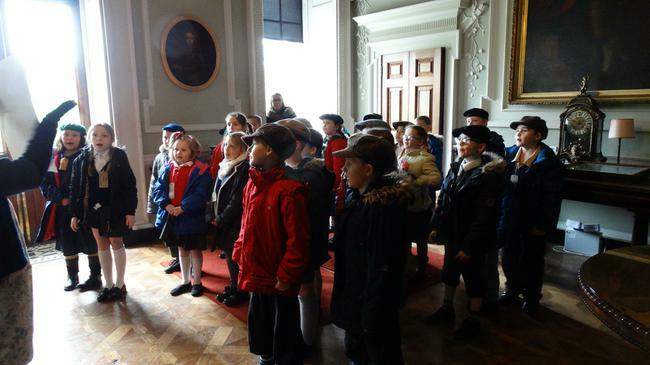 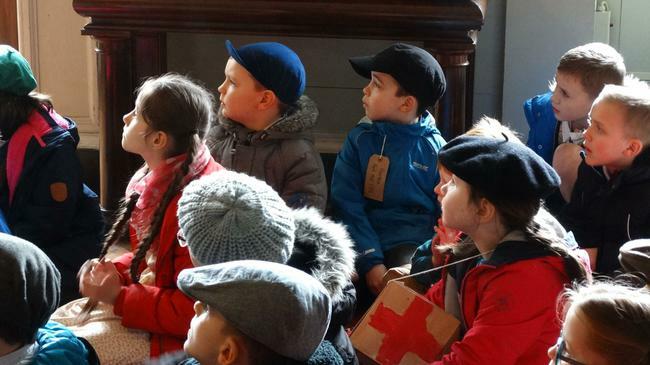 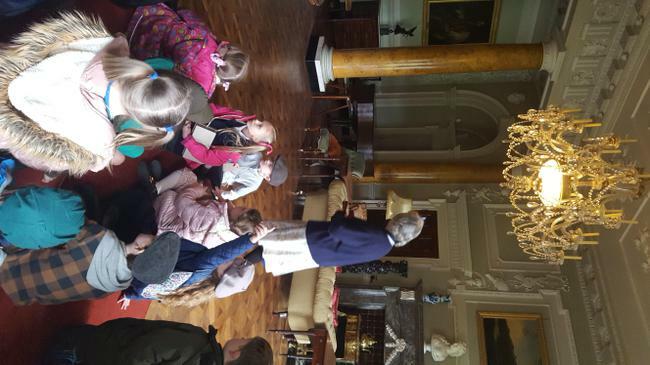 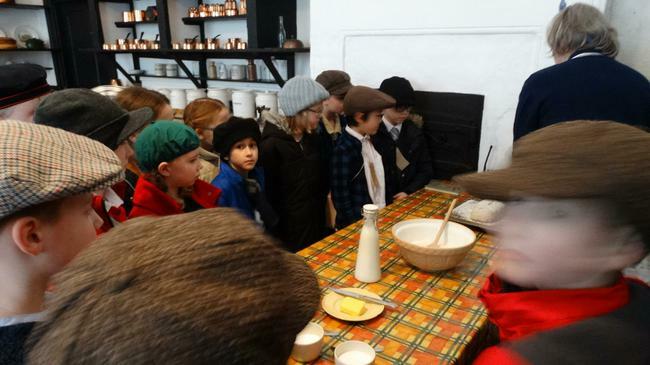 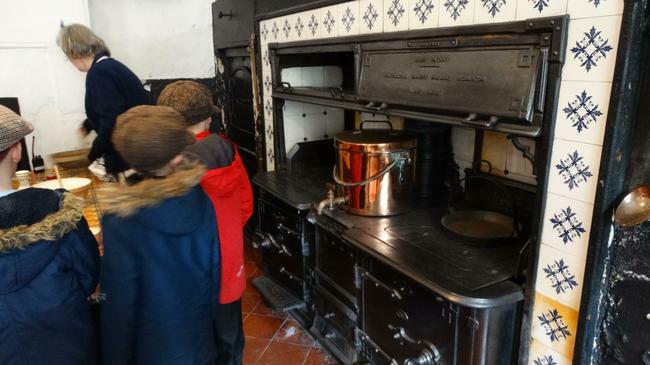 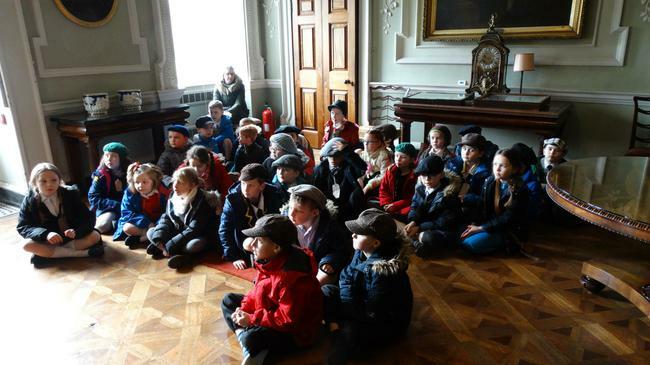 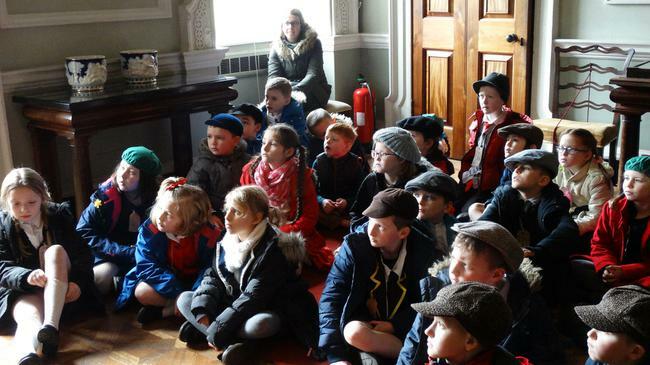 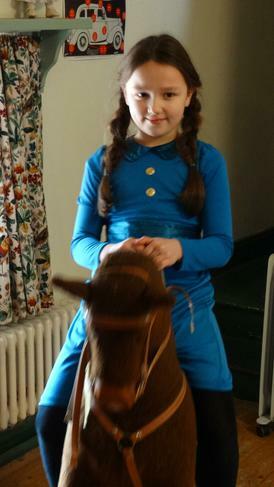 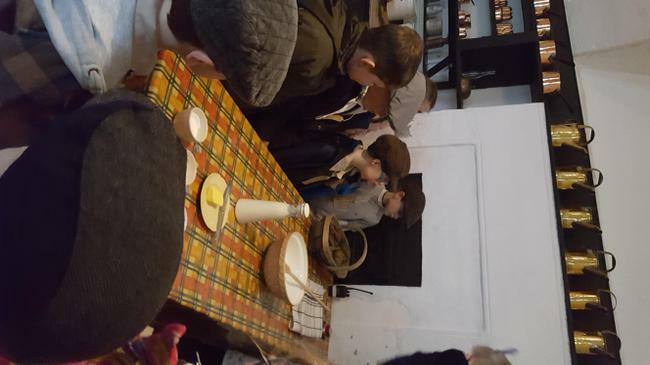 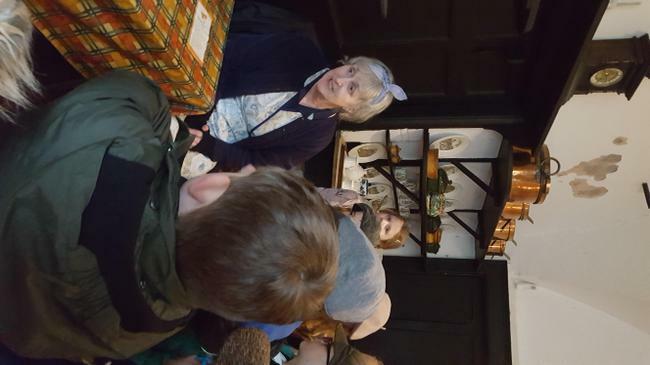 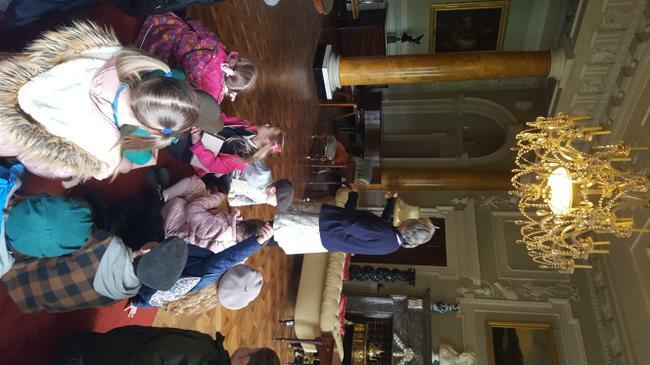 As part of our topic we went to Castle Ward with Brownlee P.S. 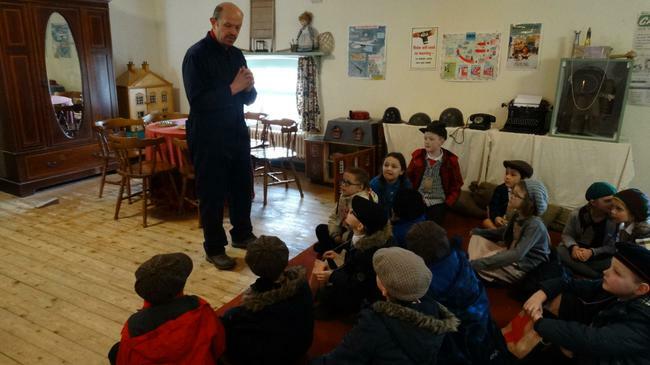 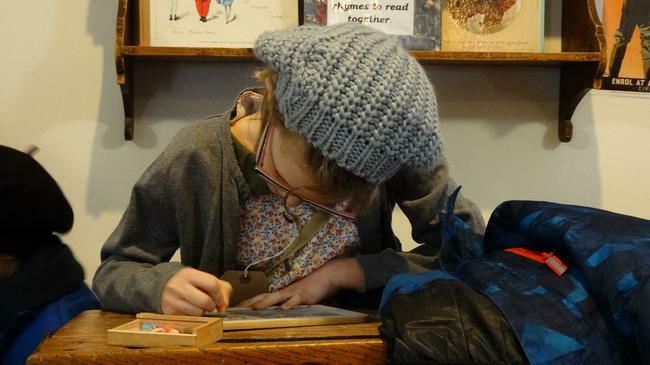 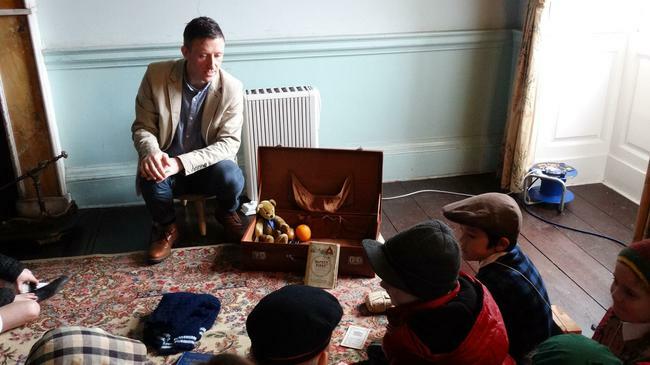 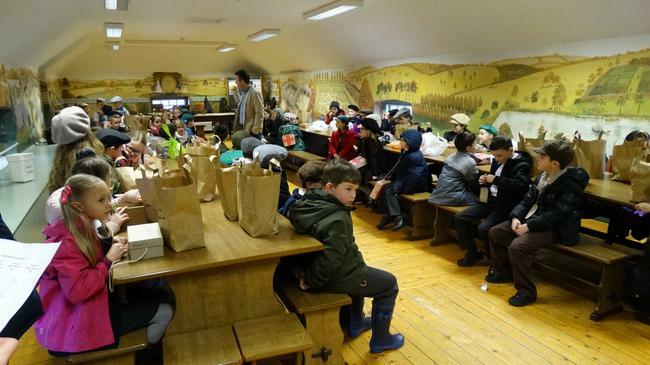 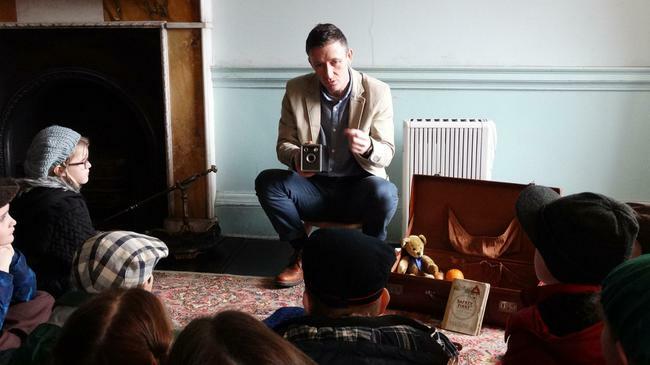 to take part in the 'Pack up your troubles' workshops. 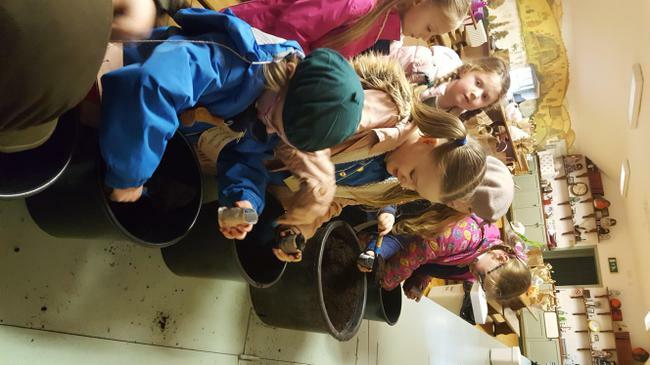 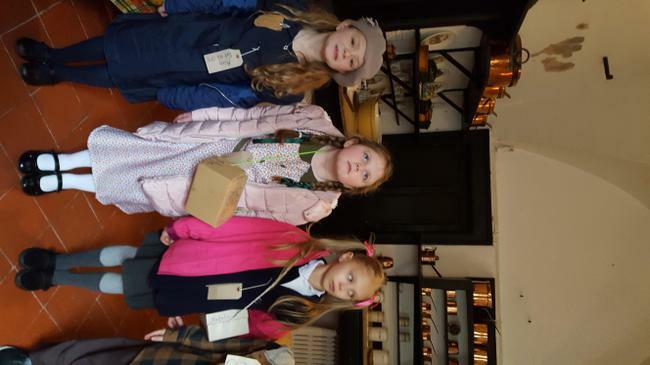 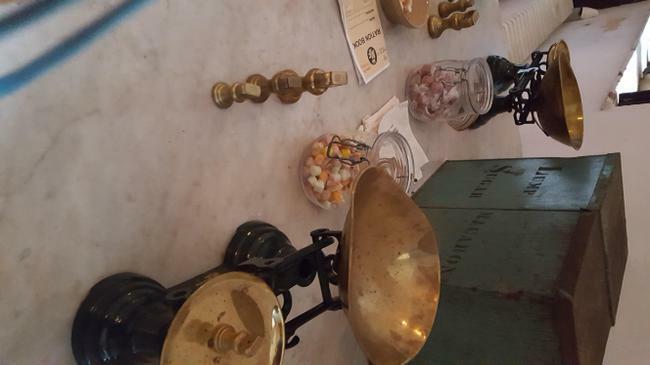 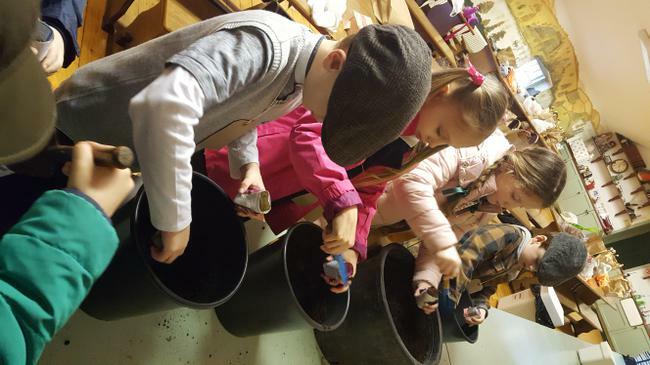 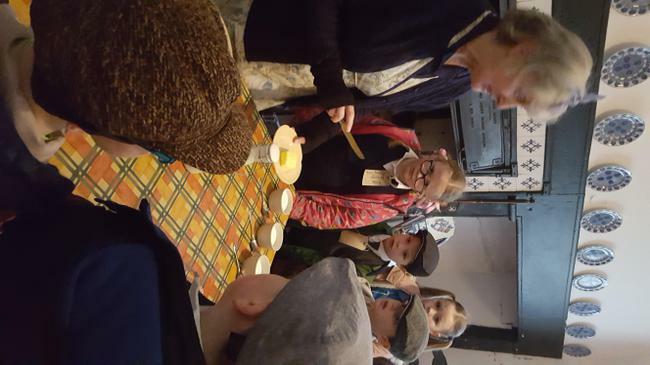 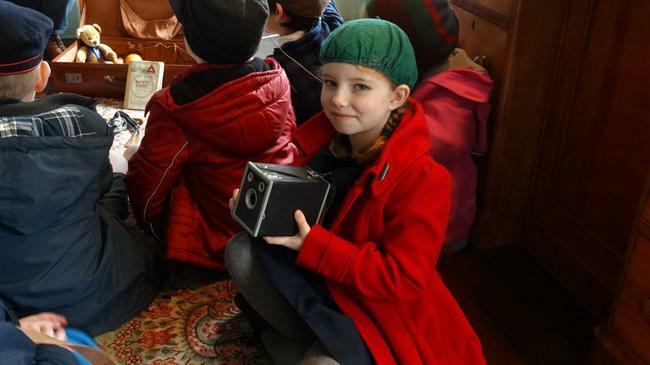 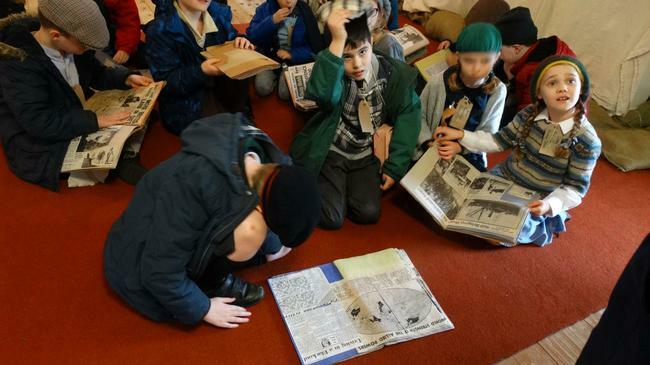 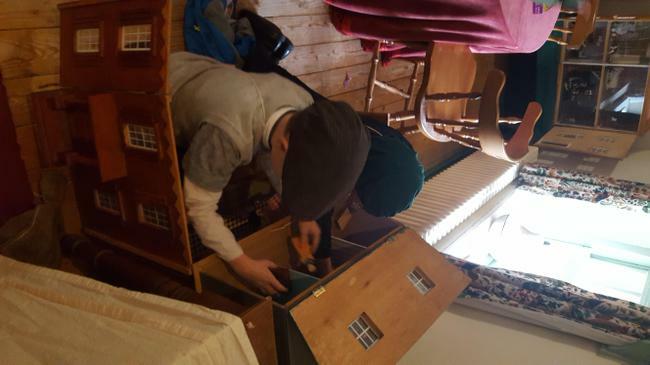 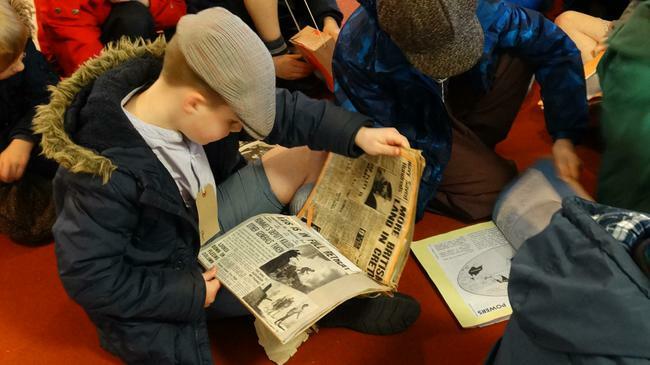 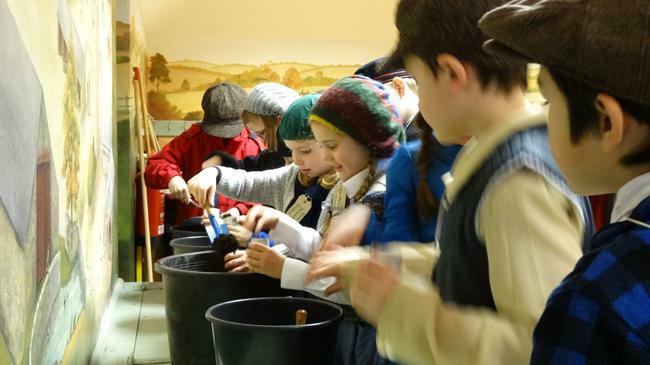 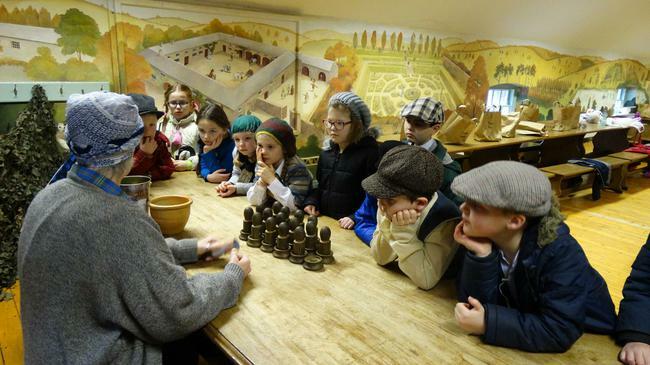 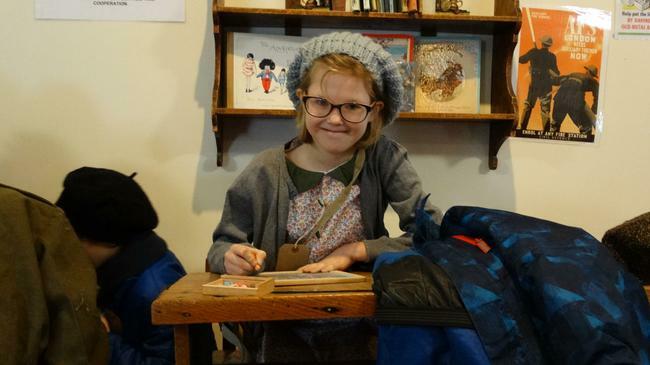 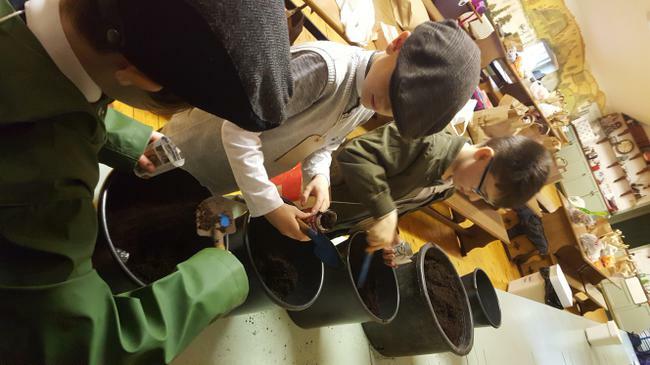 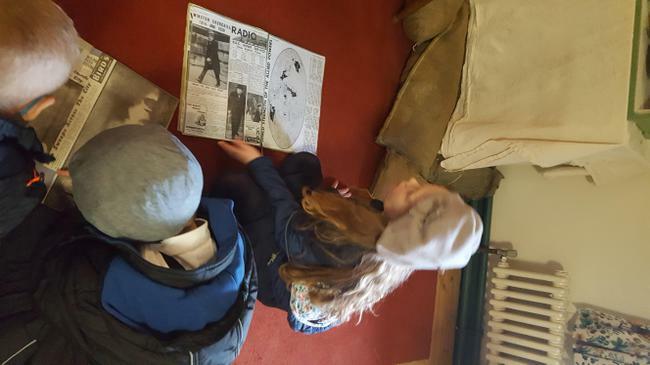 We made a seed pot out of old newspaper and planted a broad bean in it, we heard about what it was like to be in an air raid, saw what sort of food was available with rationing and finally what it would have been like to be an evacuee during the war. 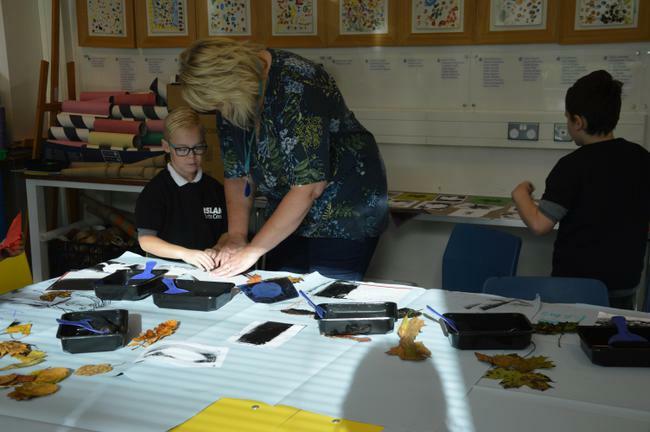 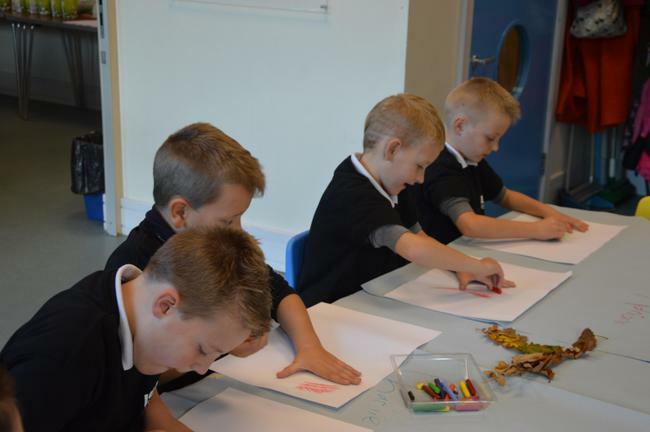 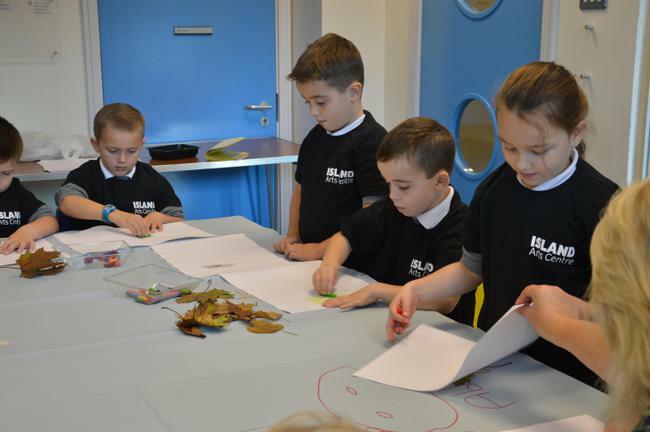 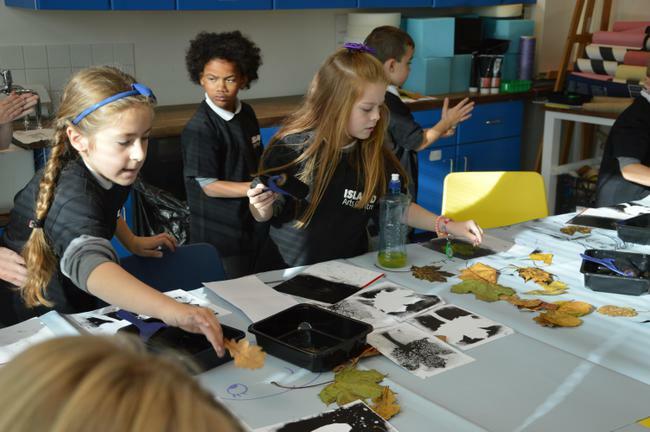 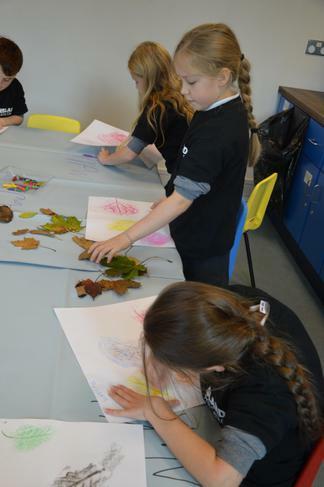 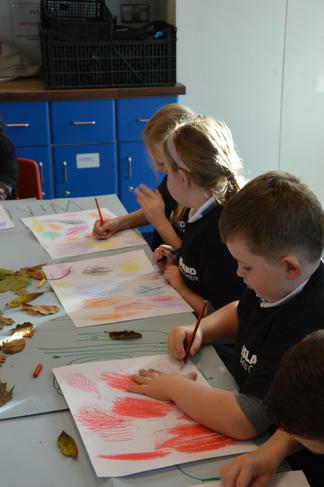 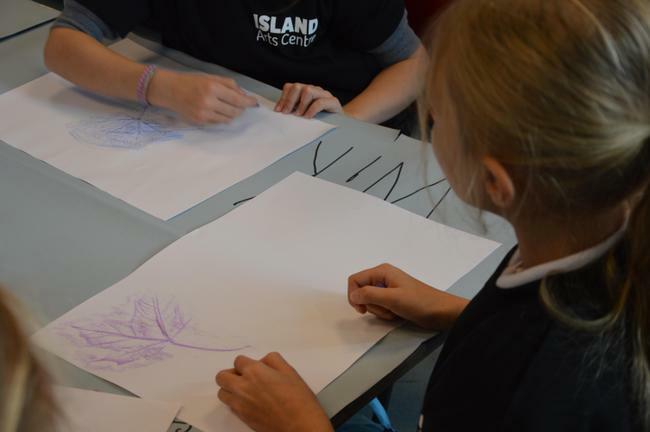 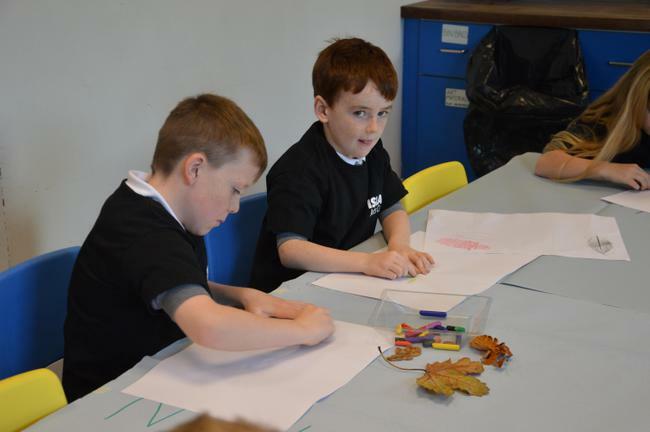 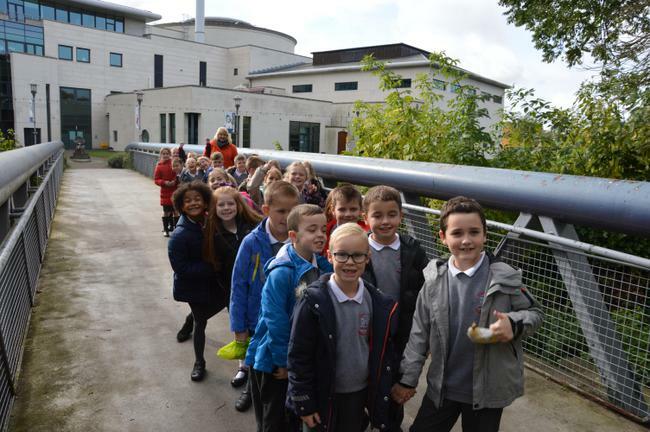 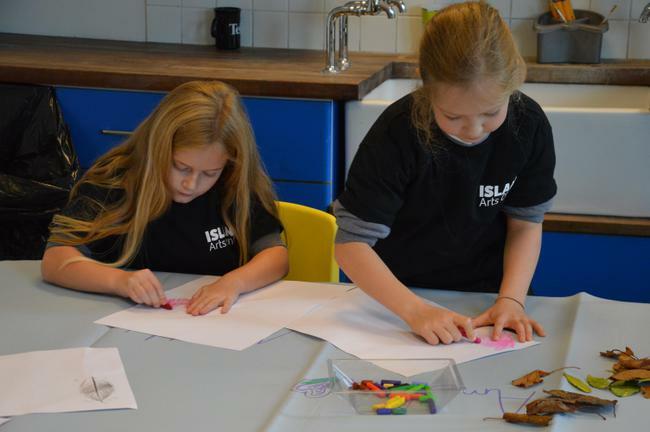 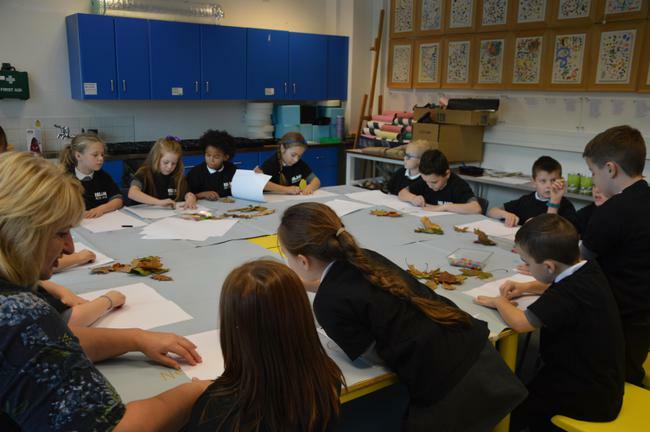 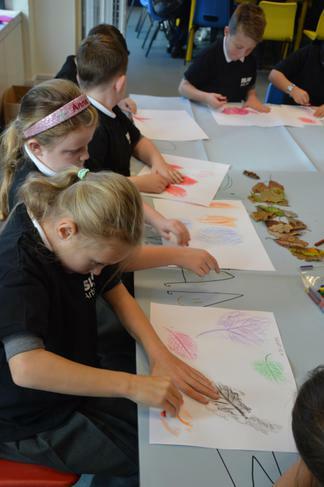 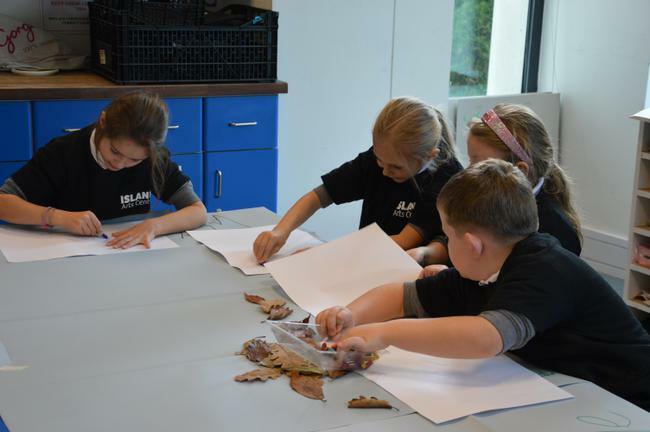 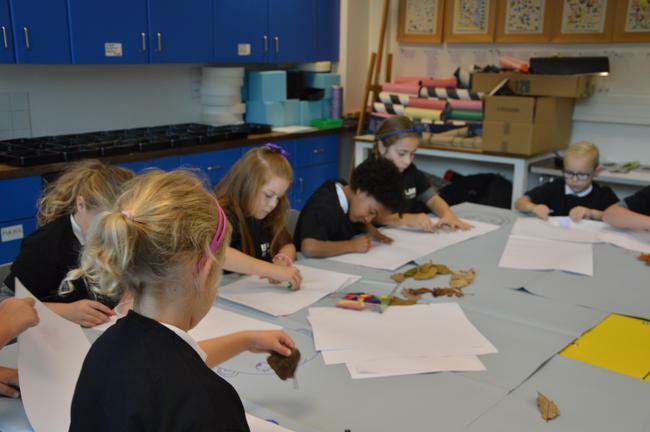 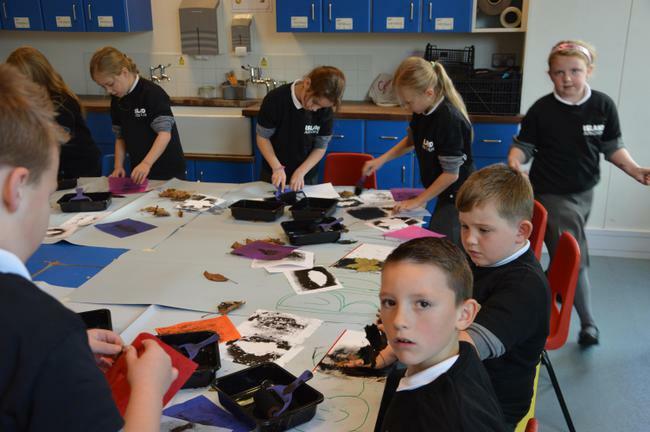 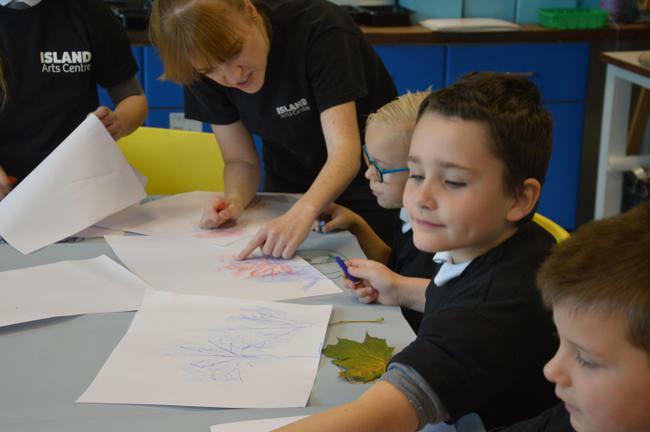 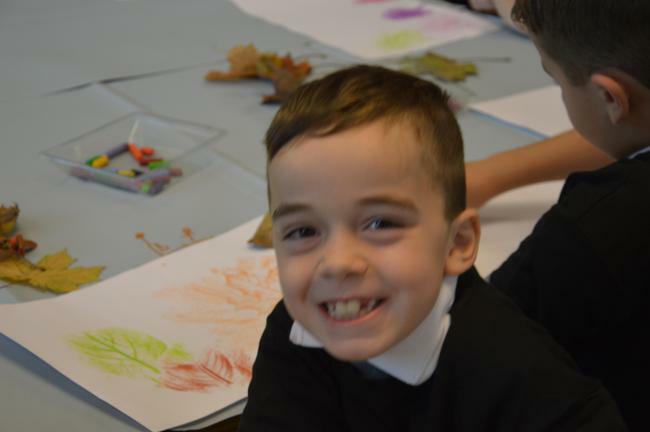 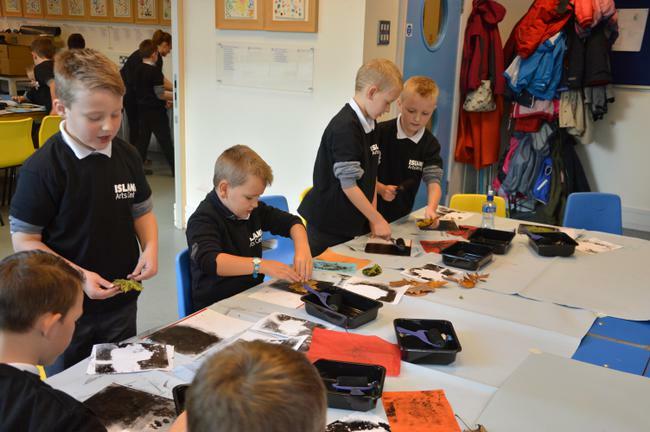 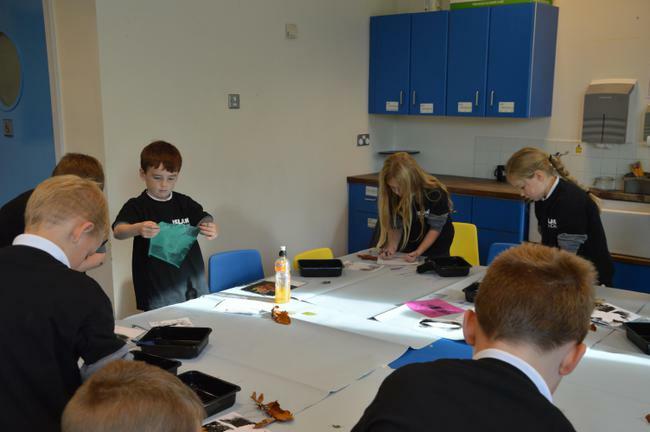 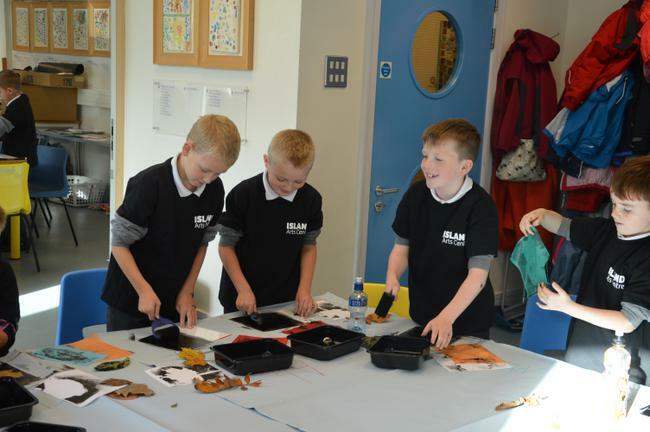 Primary 4 had a great time at the Island Art Centre on Wednesday 19th October getting creative with the autumn leaves. 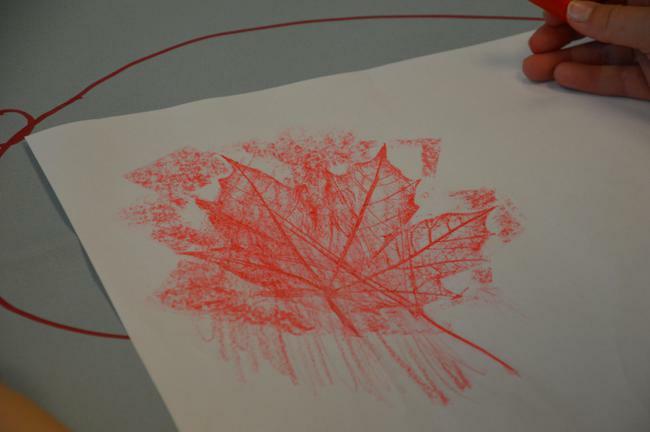 We started off with some leaf rubbings to explore the beauty of the leaves. 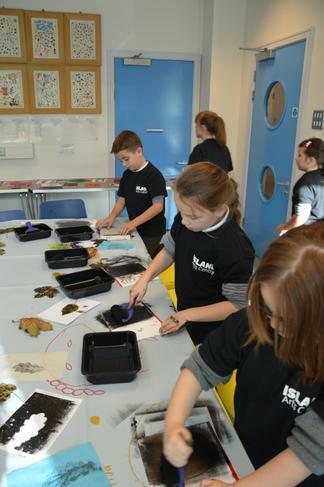 We finished by making different types of leaf prints. 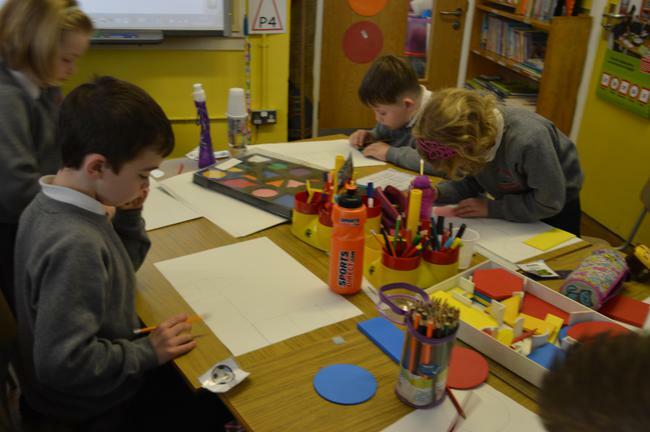 You will be able to view our work on display in school. 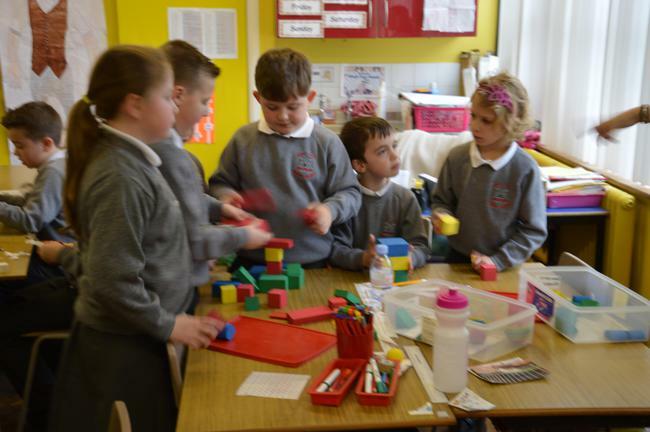 Below are some photographs of us hard at work.